Edging the perimeters of the lawn, sidewalks, walkways, etc. Custom – Clean Slate Landscape & Property Management, LLC offers custom edging services to customers. Some clients prefer a small amount of edging performed while others have large edging jobs which must be completed. The Clean Slate Landscape & Property Management, LLC staff will edge your yard on your desired schedule as well. Competitive – Edging services are also reasonable in cost when you choose Clean Slate Landscape & Property Management, LLC to perform these services for you. We know that homeowners and business owners have other expenses to consider and don’t want to pay a lot for edging services, nor should they have to. 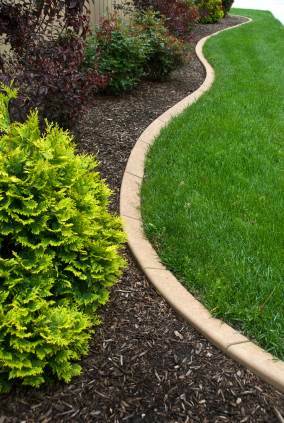 Affordable edging services can be yours when you choose Clean Slate Landscape & Property Management, LLC to edge your yard. Should you need other lawn care services completed, our staff can perform these tasks as well, also with your set budget in mind. Allow Clean Slate Landscape & Property Management, LLC to take care of that burdensome edging job for you as well as your other lawn care jobs. Contact us today at (508) 669-7959 and let’s get started turning your less than perfect yard into an eye-catching landscape showpiece.